Her painting Kurrkara Jukurrpa ("Desert Oak Dreaming from Mina Mina") depicts the dreaming which took place underneath the shade tree at Mina Mina. It is an important ceremonial place where women danced and sang with no sleep. 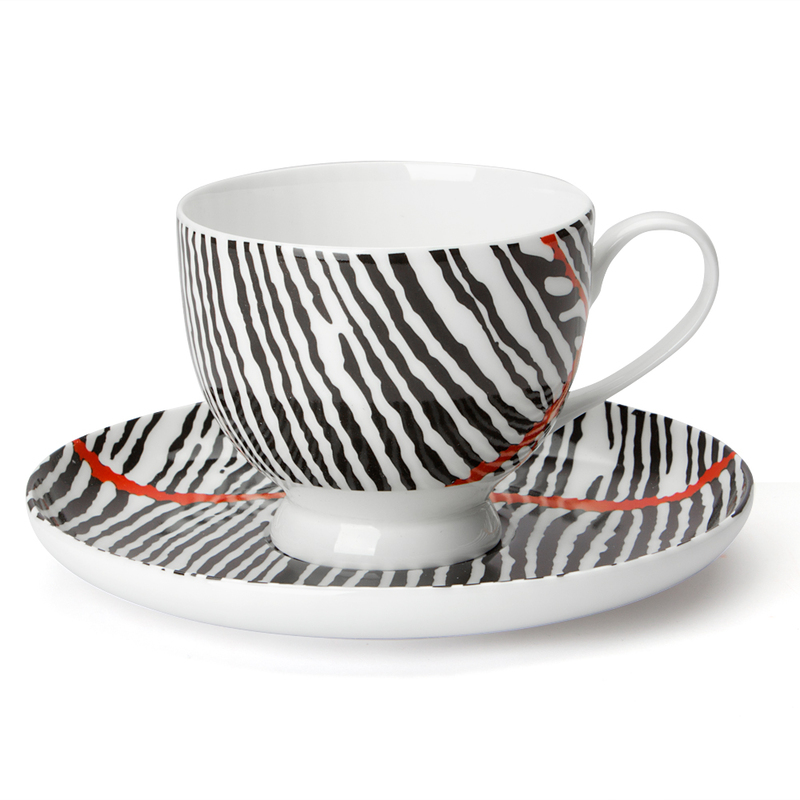 This gorgeous painting with its black, white and red colouring is beautifully featured on this Tea Cup and Saucer Set from Alperstein. A powerful way to bring this beautiful art to life.